A few weeks back I derided the fact that December-February brings about an onslaught of films that I deemed to be Oscar fodder. You know the types of film that I refer to: ones that focus on race, prejudice or persecution. Or generally a mix of all three components. I won’t lie – I’ve been cynical of these types of movies, as sometimes it seems that they were conceived only to give the writers, directors and actors a chance of accolade. Indeed, I’m still sure this is how the studios see these films; I doubt they’re concerned with the pathos or poignancy of a piece, merely how much revenue it can bring it. After all, it’s a business! Awards buzz = more ticket sales as people clamor to see what the fuss is all about. Then something happened to make me repeal my cynicism. That “thing” was 12 Years A Slave. 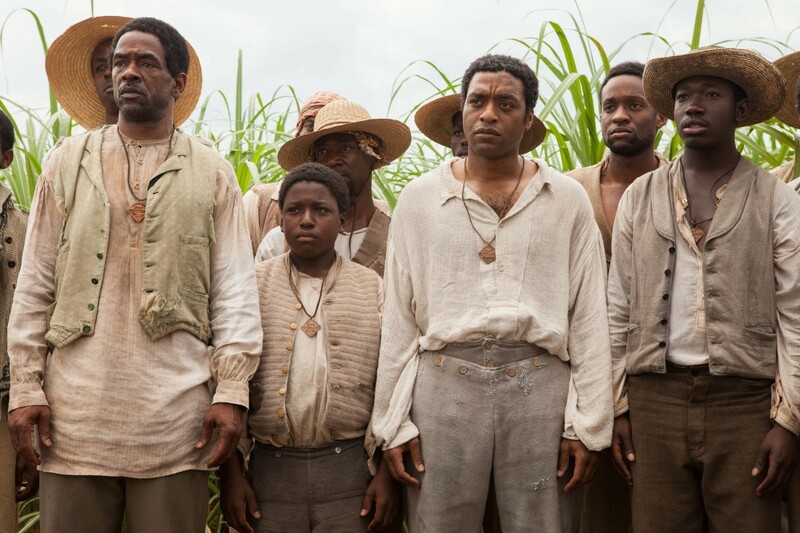 12 Years A Slave tells the tale of Solomon Northup (Chiwetel Ejiofor) in the pre-Civil War USA. Solomon is a freeman, living up in the North East with his wife and two children. This all changes abruptly when he’s kidnapped and sold into a life of slavery with no proof as to his true origins. Over the next 12 years he sees himself overseen by various “masters”, from the more benevolent and forward-thinking Mr. Ford (Benedict Cumberbach) to the more oppressive and ill-tempered Edwin Epps (Michael Fassbender). Solomon must witness all the untold horrors of slavery, whilst also keeping his past a secret lest he be lynched… slaves are paid to work, not to read, write, or think. And 12 Years A Slave doesn’t pass up the opportunity to show you the horrors of slavery in the US. From what’s been told by director Steve McQueen, they actually chose to omit some of some of the acts that Solomon described in his memoirs (yes, this is a true story). Truth be told, you’d be surprised that that was the case. 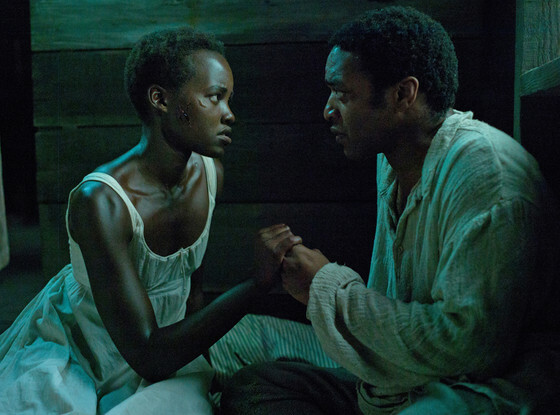 12 Years A Slave is intensely visceral and sometimes makes for very uncomfortable viewing. It almost feels like you’re watching a snuff movie at some points. I defy anyone not to be unnerved by McQueen‘s unflinching decision to hold the camera on Ejiofor during a lynching scene… the cinematography, the noises and the background acting truly makes you want to look away or hide from the screen. Similarly, the scenes of lashings are also particularly harrowing. This isn’t a movie for the feint of heart, but is for people that want to acknowledge what actually went on in the past. Steve McQueen has done a fantastic job of sculpting arguably one of the finest movies in recent memory. The pacing of the film is sublime and the 120+ minute run time evaporates before your eyes. There’s no filler in this movie – it’s all top notch quality film making. And acting. Yes, a movie can only get so far on direction and story alone. The ensemble cast that’s been put together for this movie is beyond reproach. Although trailers and posters would make you believe this is a Brad Pitt fronted film (he does feature in the film… that much is true), that would be a huge disservice to the other actors, and indeed is a bit of a cheeky lie considering he doesn’t appear until the final act of the film. 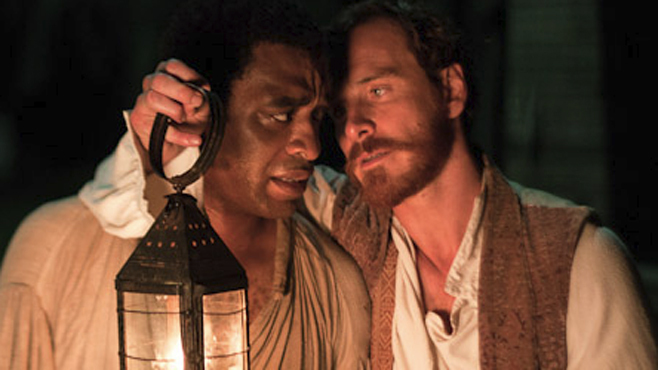 British-born Chiwetel Ejiofor is superb protagonist; capturing the joy, sorrow and adversity of the title character. I’d like to think that Solomon Northup himself would be pleased with this portrayal if he had the chance to watch this movie back. Ejiofor summons so much emotion that it’s hard to not be swept away and become emotional yourself when things don’t go his way (and that happens a lot). I feel more attention should also have been placed on Benedict Cumberbach and Michael Fassbender in the promotional materials, as both actors deliver in spades, even if this is the first time I’ve ever heard Cumberbach embrace an American accent. I really want to focus on Fassbender here though, as this is arguably one of his strongest performances to date. He embodies a vile, but critically broken man in an untold way. I was mesmerised by every scene that he was in, and he definitely deserves at least one gong for Best Supporting Actor at at least one of these upcoming ceremonies! If there’s any justice he will do anyway. Likewise, 12 Years A Slave as a whole, whether actors, director, screenplay or the film itself, deserves to be acknowledged for what it is: a spectacular piece of modern cinema. I expect big things for this movie over the coming month as the awards are handed out. I’m not normally one to be so taken with a film that’s a forerunner in these battles, but my mind has been changed. For me, it’s going to be a close battle between this and Captain Phillips. The true winners are however the audience… we’ve been spoiled, for sure. 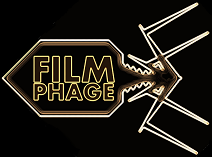 12 Years A Slave is currently standing head and shoulders above all other contenders for Best Picture in our eyes at Film Phage. We’ve not been so moved and emotionally battered like this for a long time. Yes, the film is graphic, but why should the subject matter be sugar coated? Humans are a brutal species, regardless of race, gender or creed. It’s been the case since the first of our ancestors started to fight one another over territory or resources. Between Steve McQueen, Chiwetel Ejiofor, Benedict Cumberbach, Michael Fassbender and a superb supporting cast, we have been blessed with a truly fantastic film to commence 2014. You’ve got to taste the irony in my introductory paragraph don’t you? I talk at length about prejudice, and then air my own prejudices against flagrant Oscar-baiting movies. Although several are still to be unleashed in the UK, I doubt any will prove to be as worthy of praise as 12 Years A Slave. I don’t think I have any more superlatives to throw down here. Simply: see this film, or miss out on a true highlight. Done.